Welcome to Fantasy Football Live Match Chat Gameweek 23. We’re back for a quick ‘two dayer’ before being rudely interrupted again by the FA Cup next weekend. 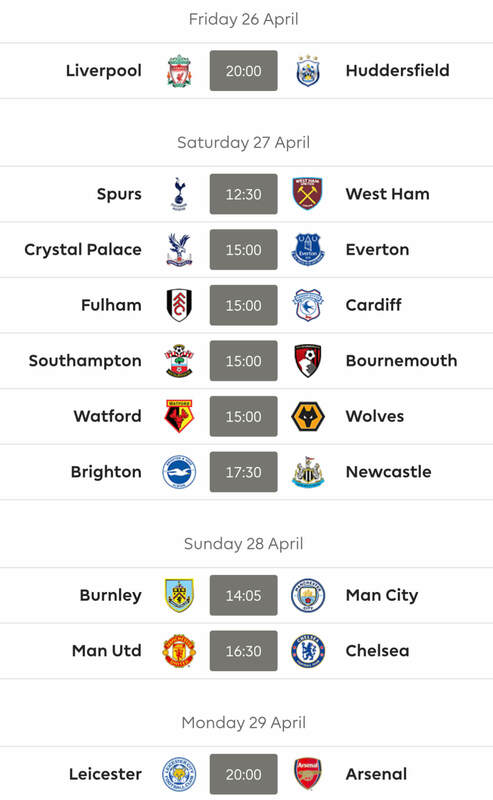 Wolves and Leicester kick us off on Saturday in the early game before we get going properly with no less than six 3pm games. 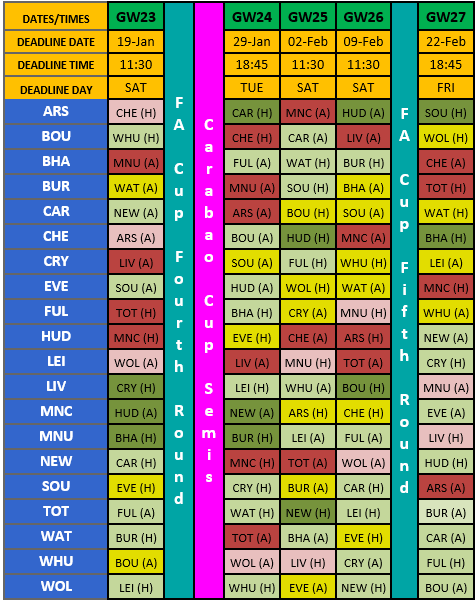 Mid-table obscurity leads the way as Bournemouth welcome West Ham, Saints play Everton and Watford host Burnley. Further down the table there is at least some interest as Newcastle and Cardiff have a potential six pointer. Man United will be hoping that mid-table is but a distant nightmare when they play Brighton and then the big one, in terms of title importance anyway, is Liverpool hosting Palace. The battle for 3rd, 4th or 5th heats up on Saturday evening as Arsenal and Chelsea clash. 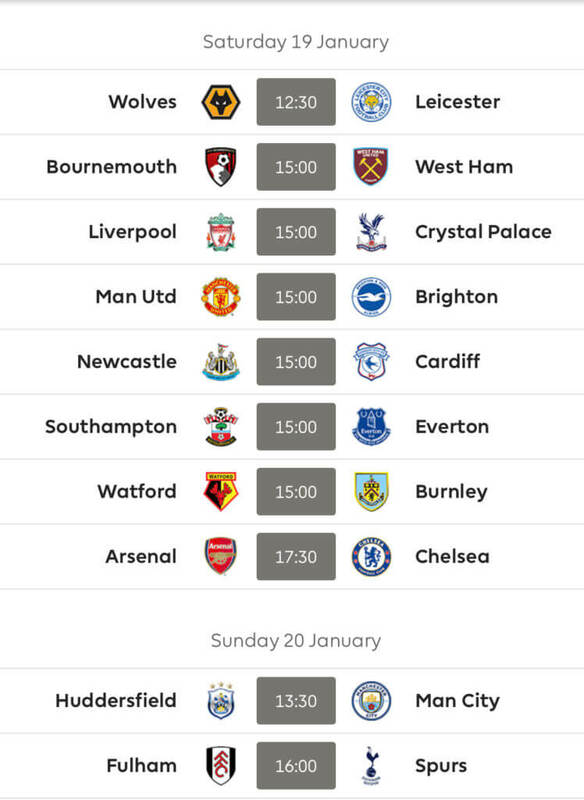 Good luck to absolutely everyone for Gameweek 23 from all at FF247! 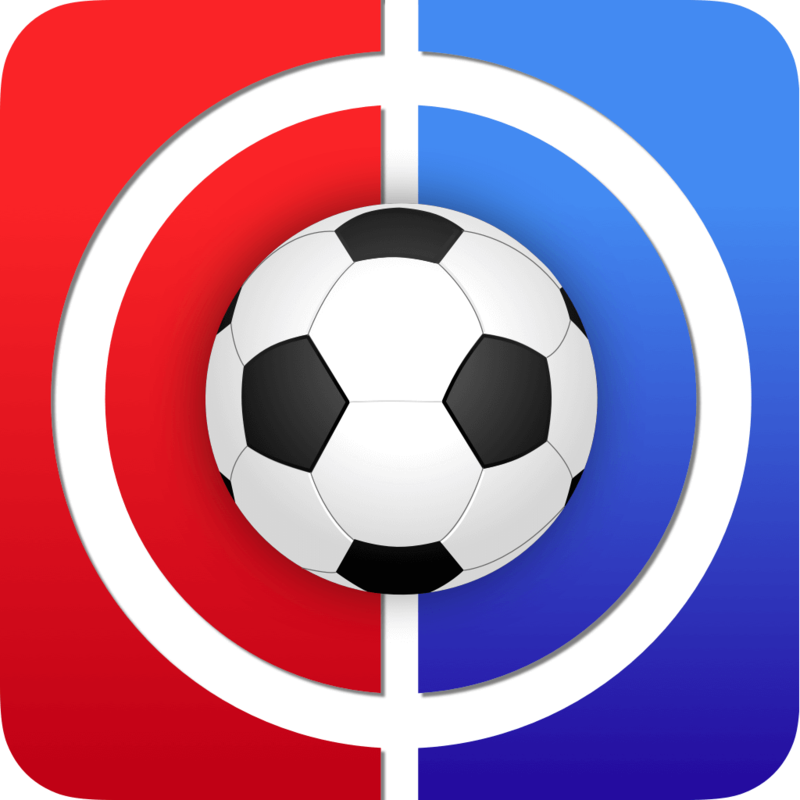 Thanks for reading Fantasy Football Live Match Chat Gameweek 23.